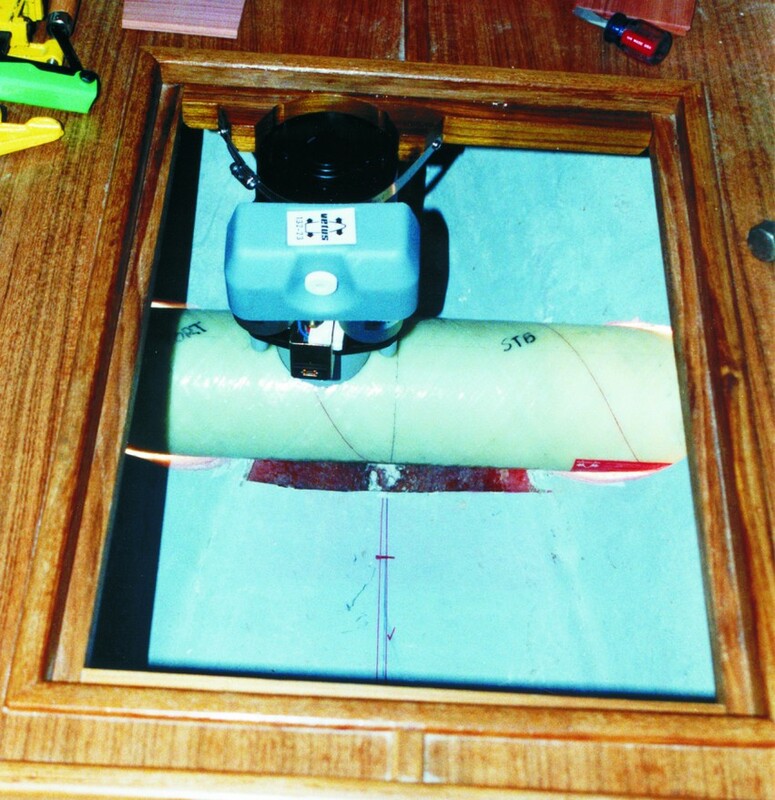 The holes for the thruster tube were cut through each side of the hull, after determining the thruster’s location. 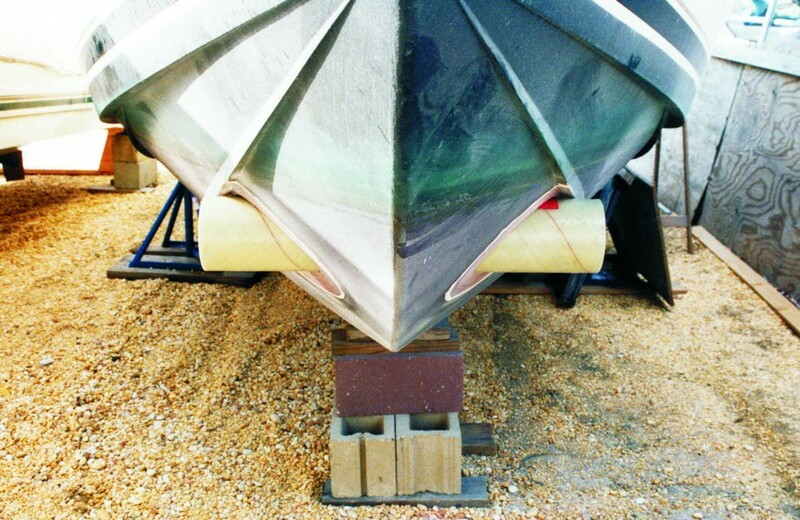 The edges of the holes were ground to a 1:12 taper to increase bonding area and allow the reinforcing fabric to be faired flush with the hull surface. 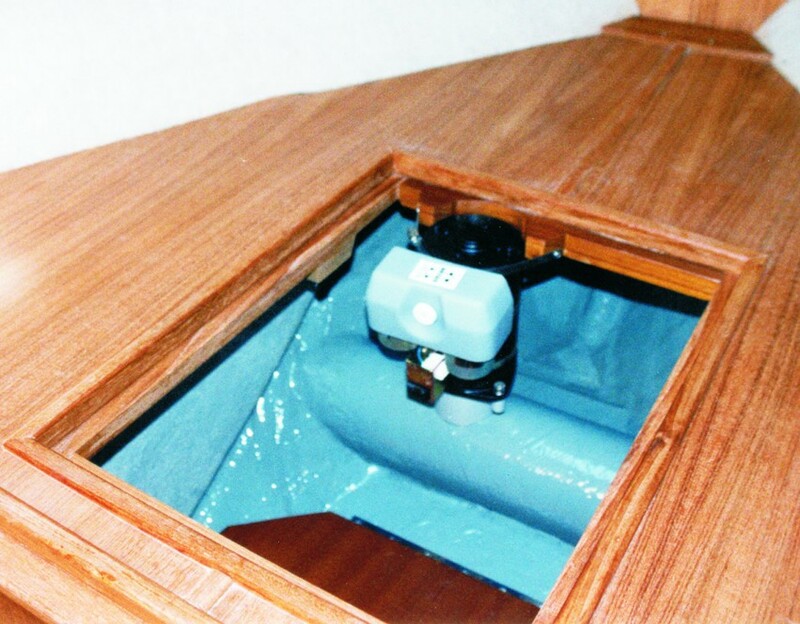 Interior view of the thruster positioned for proper motor clearance. 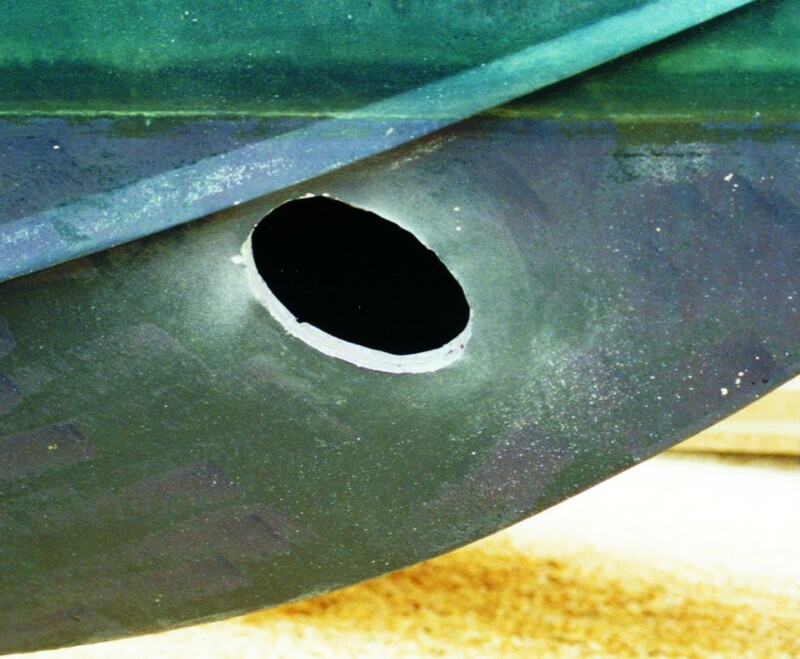 Exterior view of the thruster tube protruding from the hull. When aligned and fixed in position, the excess ends of the tube were cut off. Reinforcing fabric is applied to the exterior of the joint. 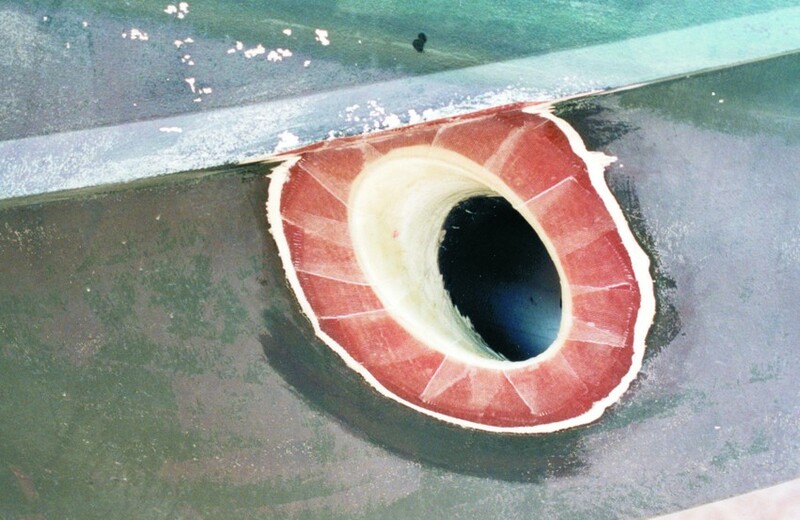 The fabric extends from the edge of the bevel to the inner surface of the thruster tube. 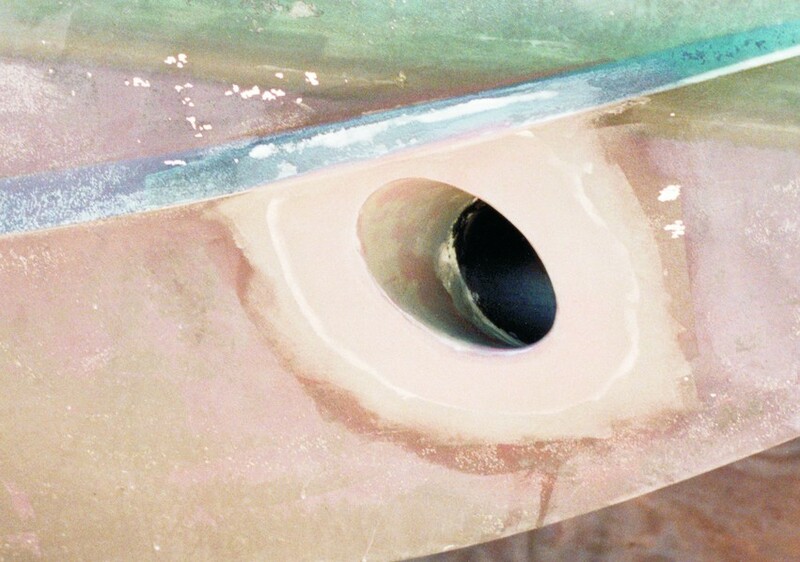 The edges of the reinforcing fabric on the hull surface and inside of the tube are faired smooth with epoxy thickened with a low-density filler. The interior joint is filleted and reinforced with fabric before painting. 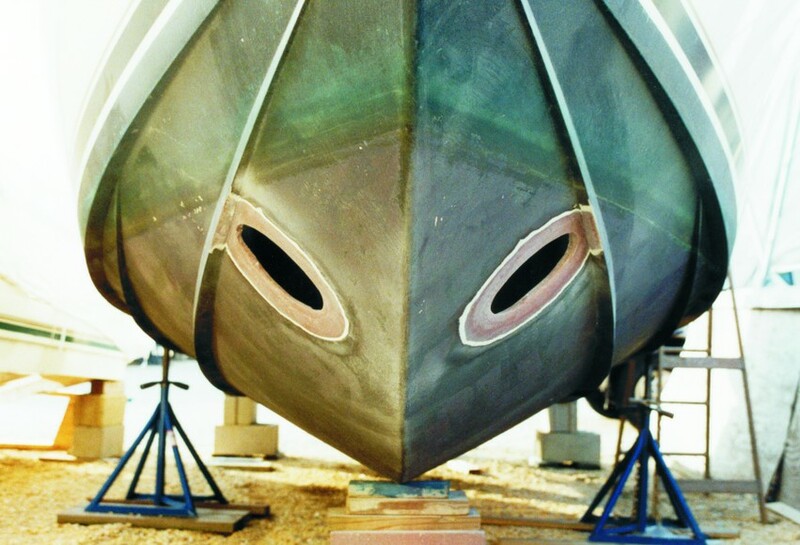 Bottom paint is applied to the exterior after the fairing material is sealed with epoxy. 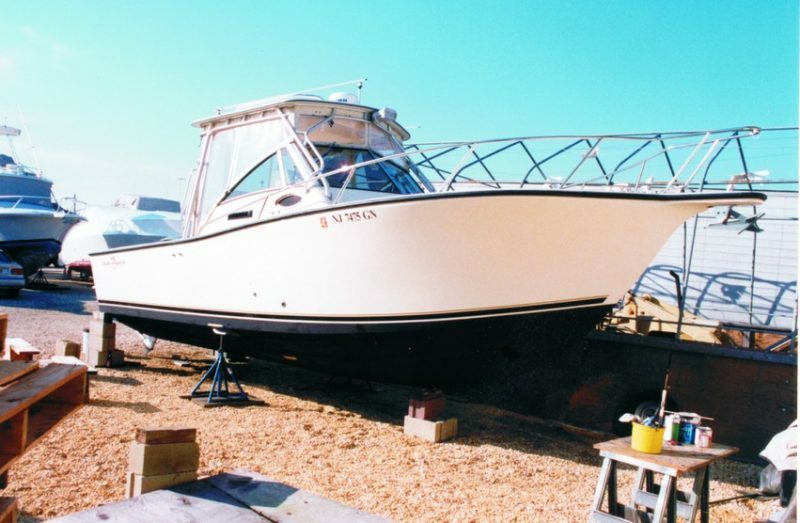 This entry was posted in Boat Mods, Modifying and Customizing and tagged 20, bow thruster, Epoxyworks #20, Fall 2002, John B. Wilson on November 10, 2014 by ewadmin.